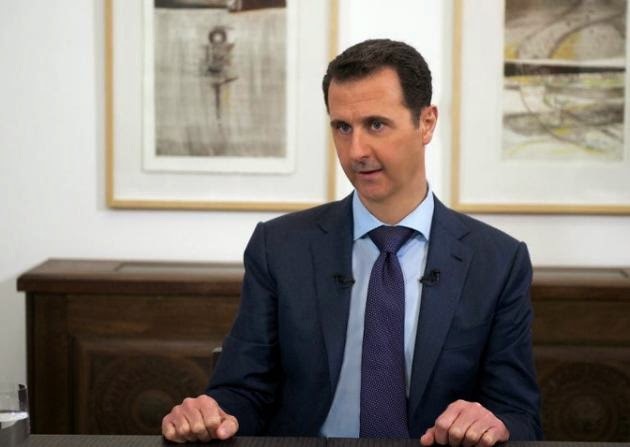 (AFP)—Syria would welcome an increased Russian military presence at its sea ports, President Bashar al-Assad said in an interview with Russian news channels published Friday. Russia operates a naval base in Tartus along Syria's western shores that includes warships, barracks and warehouses. Set up under a 1971 security agreement, Moscow has called its Tartus presence "a supply and technical point for the Russian navy". Assad told the reporters of eight news channels that Russian military support to Syria "has continued" throughout the past four years of war in his country.